Sheryl Raineri grew up in the Chicago suburbs, relocated to the warmer climes of San Antonio for almost two decades, and then found herself in Kansas City, North, of all places, nearly seven years ago. She came here for family support when her husband was dying from lung disease. A career move had brought her sister to Kansas City, and her parents had followed some years later. Her father and husband died within three months of each other in 2016. Raineri’s sister moved in with their mother after their dad died. They live in a community near Liberty, and Raineri lives not too far away in Gladstone. So now, at age 61, she is struggling to find a comfortable social circle in her adopted hometown, just some folks who can get together for things like dinner or a concert. So, she asked curiousKC for ideas on wholesome ways a person her age could develop a group of friends in our area. Raineri had a misfire with a group she met via Facebook; it was an educated bunch, and she said she felt a little out of place as a horticulturist with a couple two-year degrees. And, unlike past experiences, her jobs have proven frustrating dead ends for friends. The same thing goes for her neighborhood. Though continuing education classes are not for everyone, they can be a fulfilling way for older people to meet like-minded people. One such opportunity in the Kansas City area is Senior Peers Actively Renewing Knowledge, or SPARK, a nonprofit affiliate of the University of Missouri-Kansas City. Raineri loves the rewards of volunteering — she’d do it full time if she didn’t have to work. 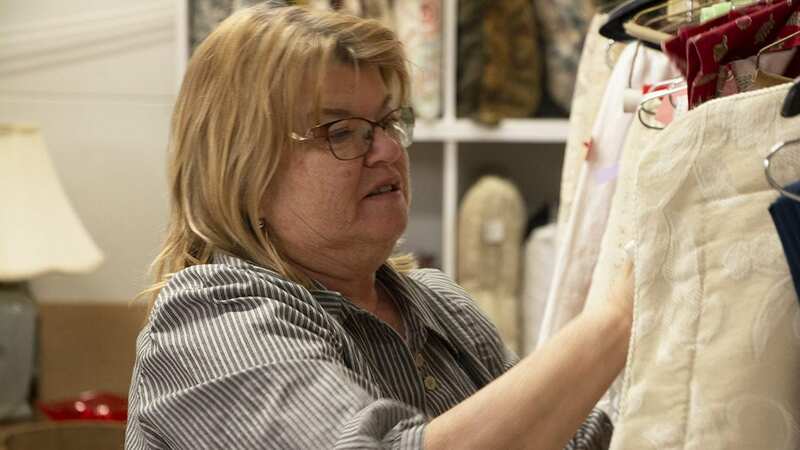 She donates her time twice a week at a thrift store in Liberty. And now, it seems this passion for service might provide an avenue for friendship. She has found Serve KC, which organizes all sorts of volunteer opportunities, through the Kansas City page of Meetup, an online platform that facilitates the formation of groups. Meetup also introduced Raineri to a group for people over the age of 50 living in the Northland. Selena Jabara is proof that volunteerism can produce friendships. Like Raineri, the 41-year-old photographer is a transplant to Kansas City, Missouri. Jabara is from Wichita. She has been involved with Serve KC almost from its formation eight years ago, and now serves on its steering committee. She estimated that half her friends are involved with the volunteer group. Group projects can also lead to social outings once the work is done. The group has more than two dozen volunteer opportunities per month, Jabara said. Part of Serve KC’s mission is to introduce its members to various nonprofits, so that the members might get interested in donating more time to an organization they really like. The group is hosting its annual volunteer fair April 6 at Union Station, where people interested in volunteering can meet representatives from nearly 50 participating nonprofits. More information is here. But Kansas City is a big place, so there assuredly are many more options out there for a person like Raineri. So, please help us help her by sending us your ideas in the form below. Or, tweet to us @flatlandkc or comment on our upcoming post on Facebook. Which question should we answer about the streets of Kansas City? How (And Why) is Kansas City’s Kauffman Center Shaped Like That? What Do You Want to Know About the Candidates for Mayor?